The new kid’s cartoon, SheZow! Transgender Superhero premiered last Saturday, June 1, 2013 on the Hub network, co-owned by Discovery and Hasbro. The cartoon’s plotline follows a little boy who discovers how cool it is that he has the power to become a superhero girl. 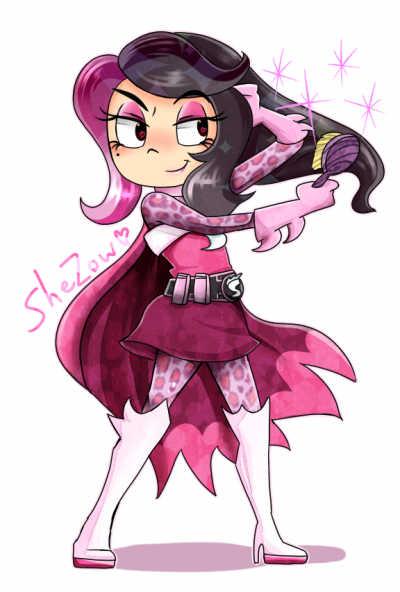 The cool factor of SheZow! is hiding the real story of gender identity confusion that will be forced on our children unless this is stopped dead in its tracks. When a single profound idea like “gender bending” is accepted into society through its children, once grown up they will have incorporated this idea permanently into what is considered “normal” without stopping to think about the ramifications such choices may entail. For example, those suffering from Gender Identity Disorder (GID) will live with the manifestations of the idea that there are no consequences to simply changing one’s biological gender at will, and may never question as to why they could be confused or unhappy with that choice. Every good parent, and every good therapist for that matter, knows that children need a balance of “yes” and “no.” Without this balance they tend to develop emotional difficulties, and worse, tend to be blamed for it since the parents in society are usually perceived to be right. Without the love of “no,” children will grow up to have emotionally unhealthy boundaries. Their inner selves will be insecure and unmoored, and their relationships will be messier with each succeeding generation. They will unconsciously visit the same dysfunction onto their children who also hope at the bottom of their hearts that their parents will love them completely and perfectly, and will therefore largely accept what they were taught. I believe that if cartoons such as SheZow! are accepted, two things will happen with children. First, some sensitive children will accept the message that this is “cool” and will blame themselves for their gender confusion issues later in life. Second, other children will naturally balk at cartoons such as this and will express anger toward their peers or their parents. However, these children, because they are powerless, will find ways of unconsciously acting out their anger and confusion onto their peers and parents because adults tend to have all the power. However, I also believe that some children will figure it out and work to change society. The political organizations that have, with full consciousness, partnered with profit-seeking companies such as Discovery and Hasbro, know exactly what they are doing by creating SheZow! They know our children will tend to believe what they see and hear in the entertainment world. This entry was posted in Uncategorized on 2013-06-06 by VoV Contributor.